275 Thevara Shivasthalam !! Thirukeezhvenur Thiru Kediliappar Temple !! Thirukeezhvenur Perumthirukkoyil/Thenbadrikaranyam is one of the 275 Thevara Shivasthalam of Lord Shiva located in Shivanur, Nagapattinam District, Tamil Nadu. This is one of the prominent temples of Lord Shiva occupies massive acres of land, famous for its stunning architectural and mural work built by King K0-Chengan Chozha widely known as Madakkovil. 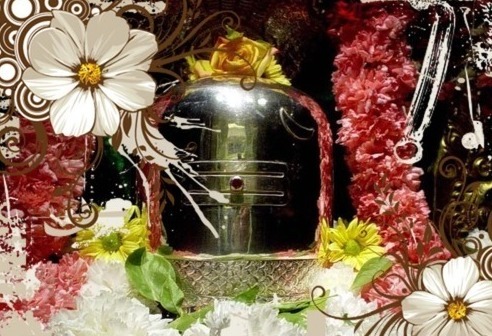 In this temple Lord Shiva worshipped in the form of a self-manifested Linga. Significance - While churning the milky ocean by the deities and demon there appeared several treasures including Halakala poison and elixir of nectar. It is believed that two drops of nectar fallen on the Northern and Southern parts of the Earth was known as Madhya Badrikaranyam and Dakshin Badrikarayanam respectively. The legend has that Lord Subramanya vanquished the demon Soorapadman at Thiruchendur. Eventually he was afflicted with the sin of Brahmahathya. Lord Shiva instructed Lord Subramanya to undergo severe austerities at Dakshina Badrikaranya to get rid of the sin. Lord Subramanya arrived on this sacred land and created a pond with his spear and worshipped Kediliappar. 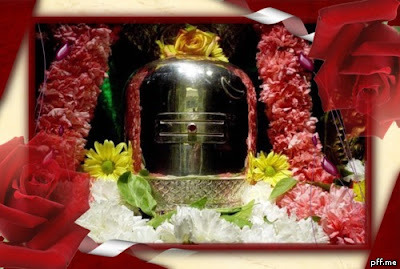 At the divine instruction of Lord Shiva, he sanctified Lingas on the nine corners of Thirukizhvenur and they were positioned in Thirukovilikadambanur, Thiru Azhiyur, Thiru Ilangakadambannur, Thiruperum Kadambannur, Thirukadambaravazhkai, Thiruvallamangalam, Thirupattamangalam, Thirushottalvannam and Thiruvothiyathur respectively. 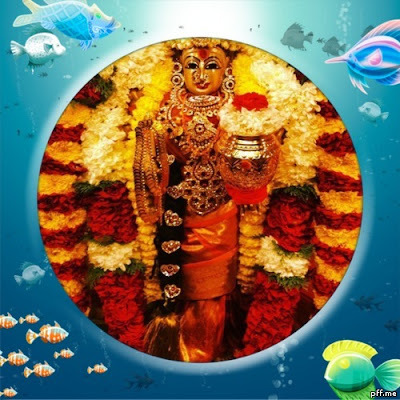 The Brahamahathya sins were created impediments to the penance of Lord Subramanya was protected by Goddess Sri Durga (Anjuvattathu Ammai) of this temple. At last, Lord Subramanya was successfully completed the penance and got rid of the sin. This temple remains open from 6.30 AM to 12.00 AM in the morning and 4.30 PM to 8.30 PM in the evenings. 275 Thevara Shivasthalam !! Thiru Sikkal Thiru Vennaipiran Temple !! Thiru Sikkal/Mullai Vanam is one of the 275 Thevara Shivasthalam located in Sikkil, Nagapattinam District, Tamil Nadu. This is one of the prominent temples of Lord Shiva built by King Ko-Chengan Chozha widely known as Madakkovil. 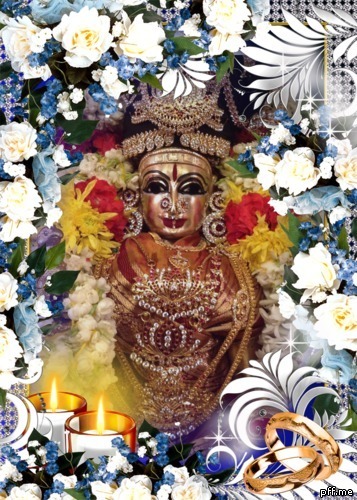 In the Tamil month Aippasi festival the idol of Lord Subramanya/Singaravelar diffuses perspiration instantly after obtaining the powerful spear from Goddess Sri Velnedunkanni Ammai. This is one of the significant temples of Lord Subramanya associated with the myth of annihilation of the demon Soorapadman. Ultimately, the eradication of demon Soorapadman was took place at Thiruchendur, one of the six sacred Abodes of Lord Subramanya. Emperor Muchukunda was afflicted with the sin of Brahmahathya, he worshipped Lord Vennaipiran at this temple and got rid of the curse. Sage Vishwamitra was attracted to the captivating beauty of the celestial dancer Thilothama, eventually lost his devoutness of penance. Later, Sage Vishwamitra realized the need of austerities and worshipped Lord Vennaipiran, consequently regained the religious zeal on this sacred land. The legend has that Sage Vashishta arrived on this sacred land; he was fascinated at the tranquility of this place. He decided to reside in this place, constructed a hermitage to continue austerities and worshipped Lord Shiva. In the meantime, the divine Kamadhenu also arrived on this land and worshipped Lord Shiva to get rid of the curse. Kamadhenu took holy dip in the pond situated here and dispensed the entire milk on the pond. Soon the pond started to over flown with the milk of Kamadhenu. 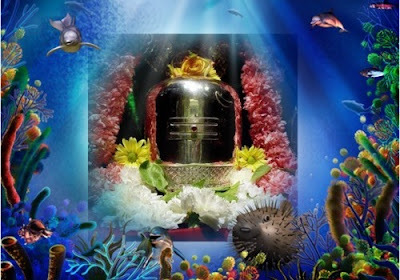 Sage Vashita created a Linga out of the butter formed on the milky pond/Ksheera Theertham and worshipped Lord. 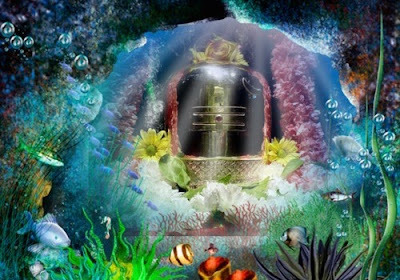 After the worship, Sage Vashishta desired to relocate the Linga but his efforts turned out unsuccessful. 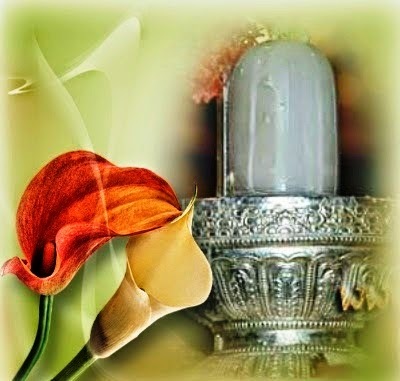 Instead, the Linga wedged on his hand without moving an inch, thus the place has got its name Sikkil and the presiding deity has got his name Vennaipiran. This temple remains open from 6.30 AM to 12.00PM in the morning and 4.30PM to 8.30PM in the evenings. 275 Thevara Shivasthalam !! Thirucchathamangai Thiru Ayavantheeswarar Temple !! Thiucchathamangai/Cchathamangai /Ayavanthi/Cheeyathamangai is one of the 275 Thevara Shivasthalam located in Nannilam, Thiruvanur District, Tamil Nadu. 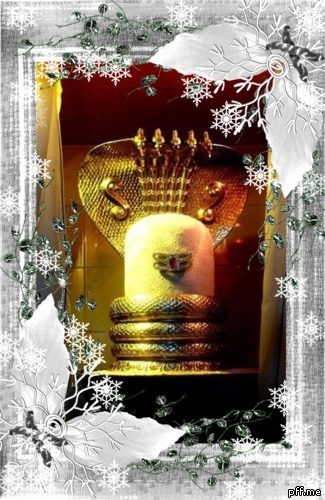 In this temple Lord Shiva worshipped in the form of a self-manifested Linga. Thiru Nilakanda Nayanar and his wife Mangayarkkarasiyar worshipped Lord Ayavantheeswarar in this temple. 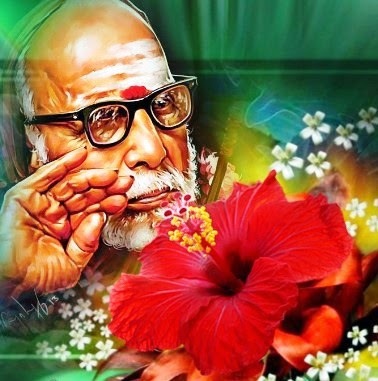 Thiru Nilakanda Nayanar was received Thiru Gnana Sambandhar with great honor and Sambandhar was pleased at the generosity of Thiru Nilakanda Nayanar, resided with him for a day. This temple remains open from 6.30 AM to 12.00 PM in the morning and 4.30PM to 8.00PM in the evenings. 275 Thevara Shivasthalam !! Thiruchenkkattankudi Thiru Ganapatheeswarar Temple !! Thiruchenkattangudi/Ganapatheecharam is one of the 275 Thevara Shivasthalam of Lord Shiva located in Thirukkannapuram, Nagapattinam District, Tamil Nadu. In this temple Lord Shiva worshipped in the form of a self-manifest Linga. Significance – Paramjyothi was the minister of King Narasimhavarman of Pallava Dynasty. Once there was a battle between the Kingdom of Pallavas and Chalukyas. Paramjyothi led the war against the King Pulikesi of Chalukya Dynasty. At last, Paramjyothi won the battle against Chalukyas and as a remembrance an idol of Lord Ganesha was brought from Vatapi, capital of Chalukya Dynasty. Later it was sanctified and installed in this temple was famously known as Vatapi Ganapathi. Ganesha Chathurthi is widely celebrated in this temple. King Aiyadikal Kadvarkon was a righteous ruler of Pallava Dynasty. He was a passionate devotee of Lord Shiva, admired the devotion of Thiru Siruthonda Nayanar and earnestly desired to visualize Lord. Lord instructed the King to carve a magnificent idol so that the he would be able to envision Lord. Instantly, King ordered to create a splendid idol of Lord Pasupatheeswara. The construction of the idol work stretched for some time, the idols made were not pleasing to King. The workers engaged in the idol work were frustrated at the outcome on each idol created. In the meantime there appeared a saintly person asking for water to quench his thirst, the frustrated craft person poured the molten metal on his alm pot instead of water. The saintly person pleasurably swallowed the molten metal and turned out an idol. 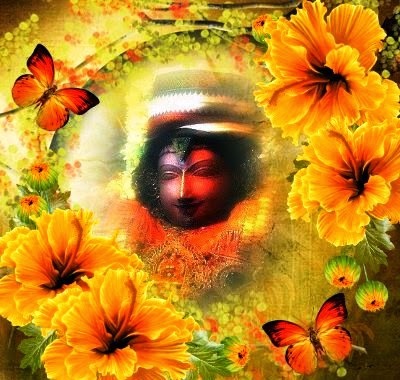 Instantaneously Lord Shiva revealed his enthralling form to the King and everyone assembled. King was delighted to see the captivating beauty of the idol of Lord Utharapasupatheeswara and consecrated the same in this temple. A grand festival ‘Sembakapoo Vizha’ was performed in the month of Chithirai – Thiruvonam to commemorate this incident. Lord Shiva performed one of the cosmic dance forms ‘Ubhaya Padha Nruthyam’ in this temple. The legend has that there was a demon Gajamukha who has elephant face and the body of human being. He tormented the life of deities and Sages. All the deities were approached Lord Shiva sought for protection. Lord Shiva instructed Lord Ganesha to vanquish the demon and reinstate peace. Lord Ganesha entered in a battle with the demon Gajamukha and beheaded him. Soon Lord Ganesha was afflicted with the sin. He arrived on this sacred land and underwent severe austerities praying to Lord Shiva. Eventually, Lord Shiva was pleased at the devotion of Lord Ganesha and appeared before him as a self-manitested Linga. 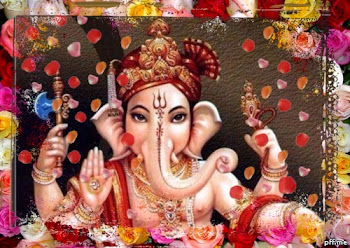 Thus Lord Ganesha was relieved from the curse and the place has got it name Ganapatheecharam. This is the place where the demon Gajamukha was killed by Lord Ganesha, it resulted in the formation a wild river out of the blood of Gajamukha came to known as Thiruchenkkattankudi. This temple remains open from 6.30 AM to 12.00PM in the morning and 4.30 PM to 8.00 PM in the evenings. 275 Thevara Shivasthalam !! Thiruppukalur Vardhamaneswaram Thiru Vardhamanewarar Temple !! Thiruppukalur Vardhamaneswaram/Punnakavanam/Sharanyapuram/Ratnaranyam is one of the 275 Thevara Shivasthalam of Lord Shiva located in Thirukkannapuram, Nagapattinam District, Tamil Nadu. This is one of the prominent temples of Lord Shiva occupies massive acres of land. This temple remains open from 6.30 AM to 12.00 PM in the morning 4.30 PM to 8.30 PM in the evenings. Significance of Panguni Uthiram/Phalgun !! There are several interesting myths associated with this propitious day of Panguni Uthiram. Goddess Sri Parvati was born as a daughter to King Himavan and Menavathi, she underwent severe austerities worshipping Lord Shiva and attained Lord as her husband on this auspicious day. Lord Kamadeva created impediments to Lord Shiva’s penance was burned into ashes. Goddess Rathidevi, wife of Lord Kamadeva underwent severe austerities and worshipped Lord Shiva; eventually Rathidevi regained Lord Kamadeva on this day. Goddess Sri Kamakshi sanctified a Linga with the raw sand on the river banks at Kanchipuram/Thirukachi Ekambam and worshipped Lord Shiva. 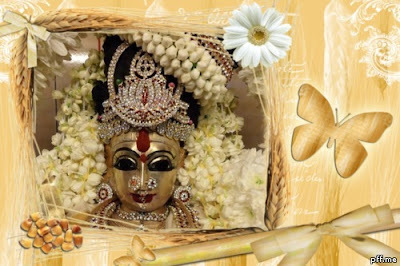 Lord was pleased at the devotion of Goddess Sri Kamakshi and married her. Lord Shiva incarnated as Lord Somasundareswarar and married to Goddess Sri Meenakshi at Madurai/Thiru Alavai on this auspicious day. Lord Rama’s marriage to Goddess Sri Sita took place on this promising day. Consequently, Lakshman, Bharatha and Shatrugna were married to Urmila, Mandavi and Shruthikeerthi respectively. Idumbaban, a passionate devotee of Lord Subramanya introduced Kavadi, a vibrant method of worship to Lord Subramanya on this day. 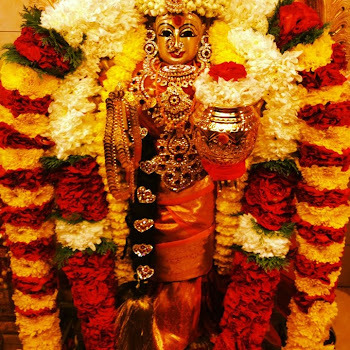 Lord Subramanya was married to Goddess Sri Deivayanai at Thirupparamkundram on this propitious day. 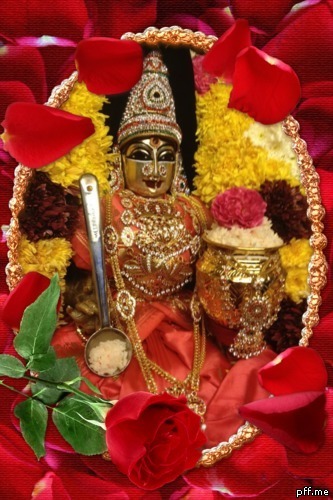 Goddess Sri Andal a passionate devotee of Lord Vishnu married to Lord Ranganatha on this most favorable day. 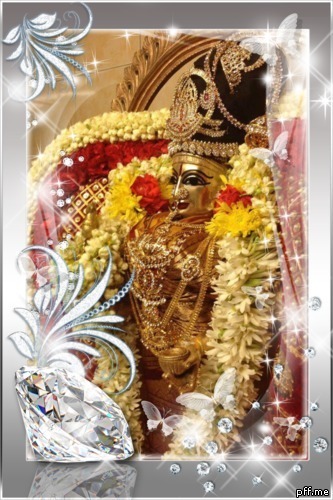 Lord Ayyappan was born to Lord Shiva and Lord Vishnu while Lord Vishnu incarnated as Mohini. The very purpose of the brith of Lord Ayyappa was to vanguish the demon Mahishi and brings peace on Earth. Sage Markandeya worshipped Lord Shiva and Lord was pleased at the devotion of Sage Markandeya and blessed with immortality. In due course, Lord Yama who was rushed to take away the life of Sage Markandeya was thrashed by Lord Shiva on this day.